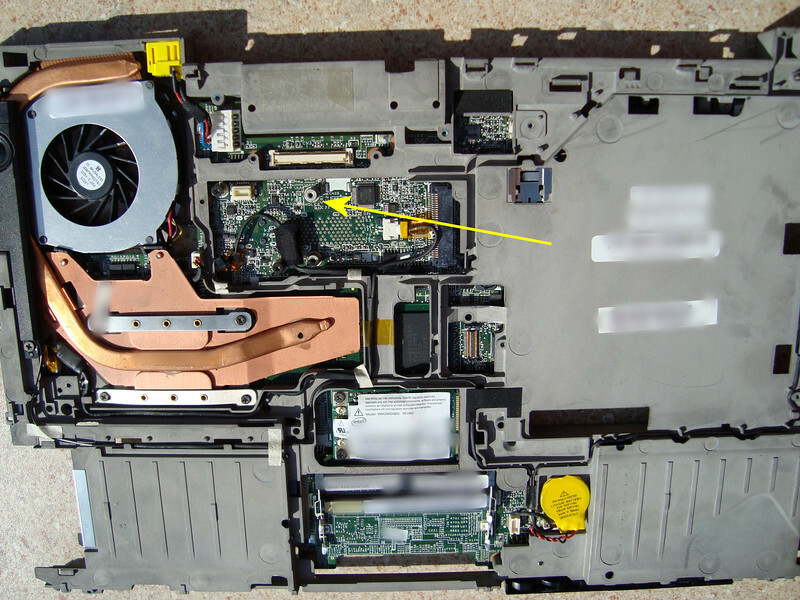 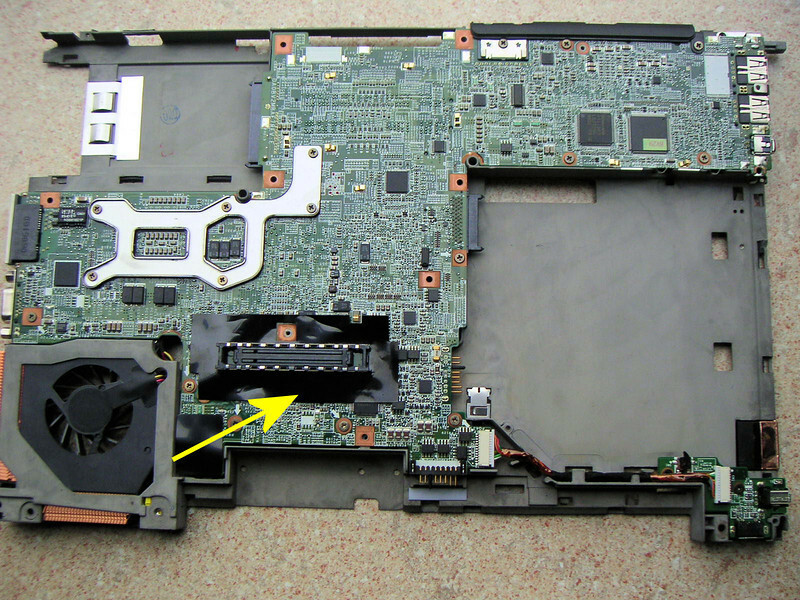 Once you have your HMM search the manual for "Removing and replacing a FRU" , follow the instructions in the manual to remove the Keyboard and palm rest to gain access to the top the System Board, the area marked with the yellow arrow in the image below which shows a Z61T dismantled much further than you need to. 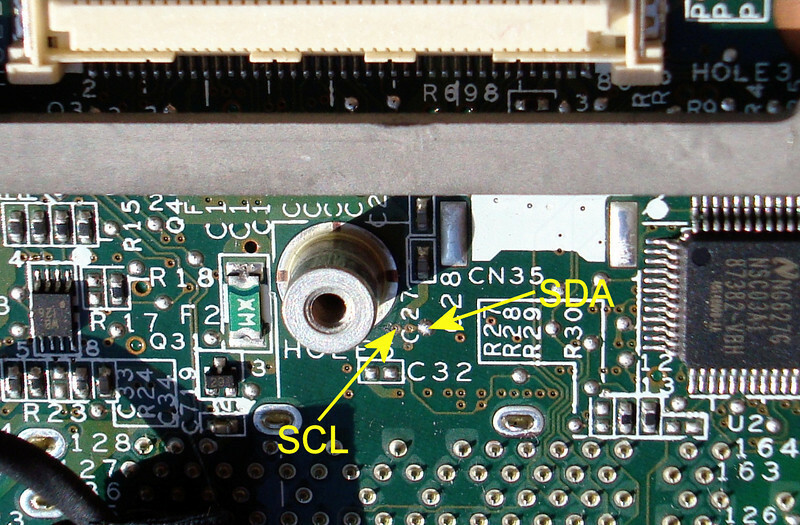 NOTE: the SCL via in the image below IS FRAGILE - do NOT go poling and twisting your probe in the via hole as that WILL CAUSE DAMAGE to the via. 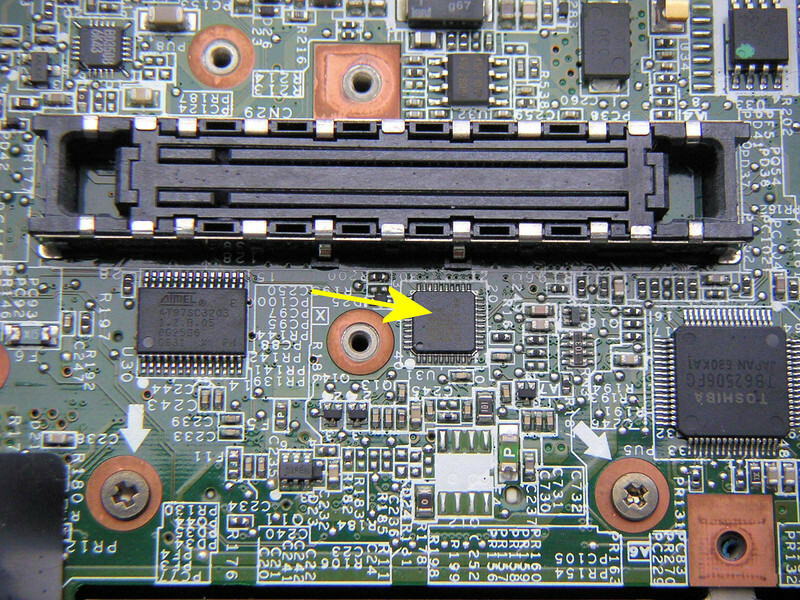 You may need to GENTLY scrape away any coating on the contact points which may be hindering a good electrical contact with your sharp probe. 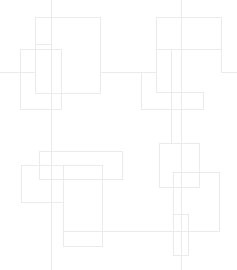 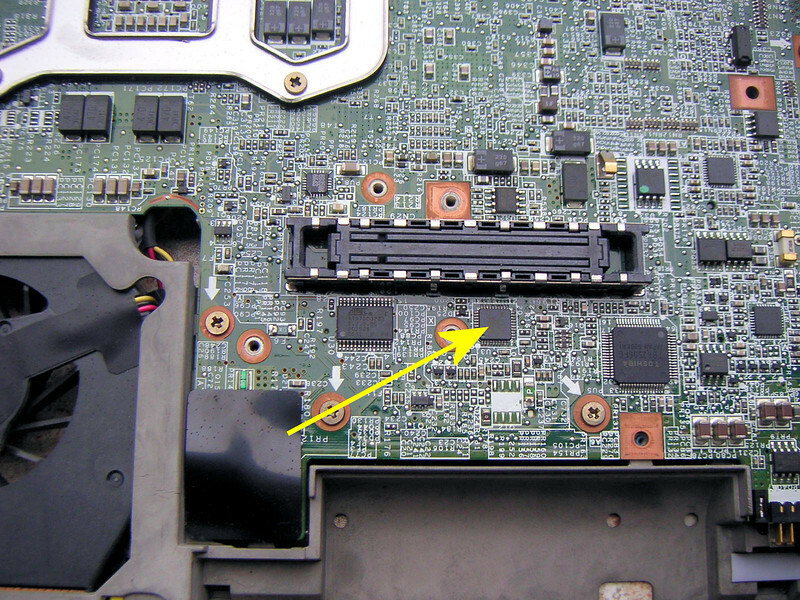 Once you have your HMM search the manual for "Removing and replacing a FRU" , follow the instructions in the manual to remove all the other FRUs to gain access to and remove the System Board. 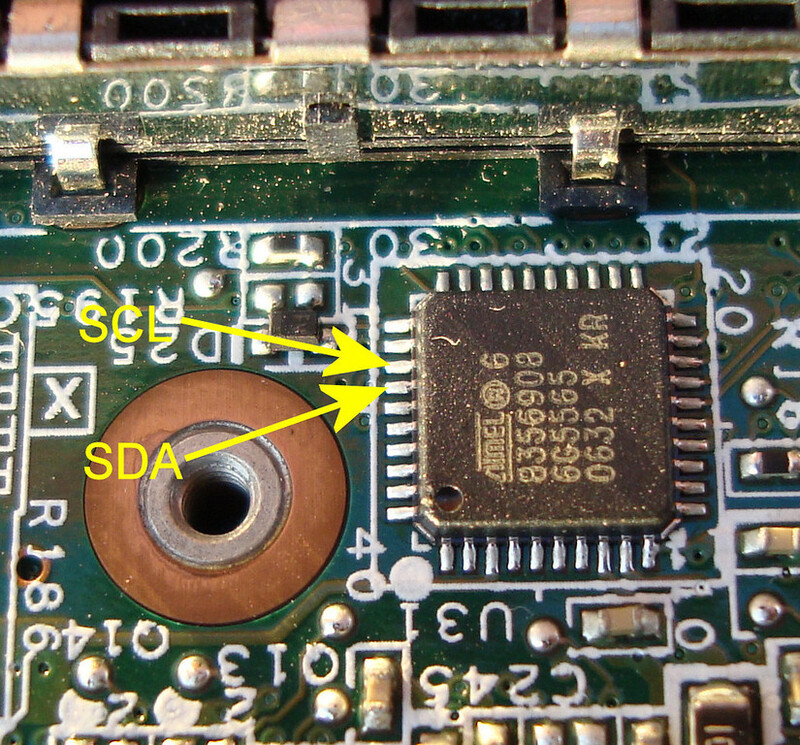 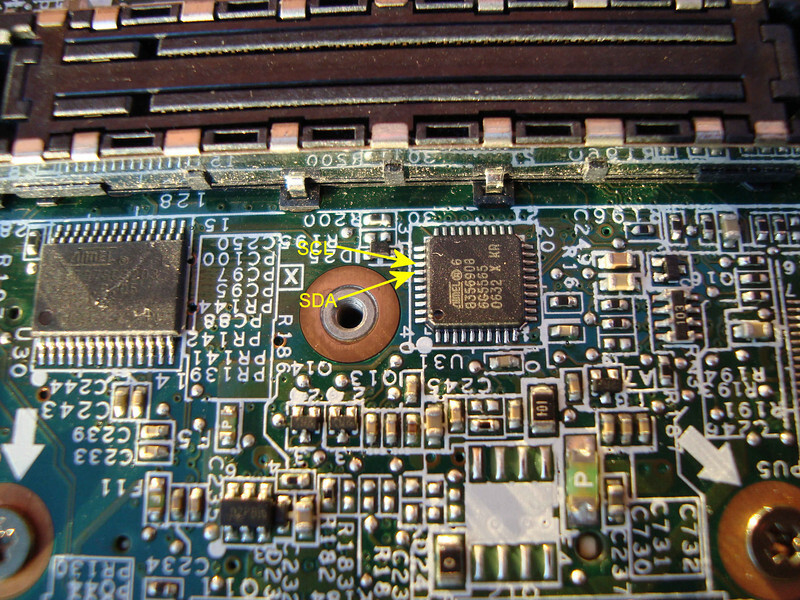 The IC you need to connect to is an ATMEL 8356908 which is on the underside of the System Board, the yellow arrow in the photo below points to the ATMEL 8356908. at location U3.